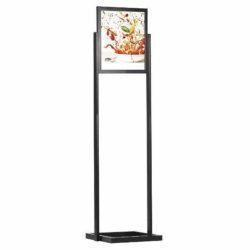 Viewable Area: 16.93" x 22.91"
Eco InfoBoard is a practical yet economic poster display stand as a stylish and elegant display. 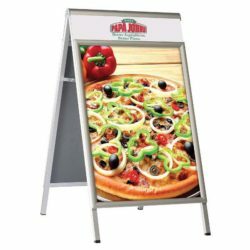 Ingenious when it comes to presentation and function, Eco InfoBoard is ideal to display two 18″ wide x 24″ high posters back-to-back ensuring higher brand appearance. Insert your posters against the middle support panel in between non-glare front lenses. Then slide them all into the metal grooves of the display. This quite simple load and unload system makes the graphic replacement easy whenever you want to fit the occasion. Clear pet lenses protect your graphics from dust and dirt. Furthermore Eco InfoBoard do not wobble thanks to its specially designed rectangular base. Due to its lightweight it is practically carried to any location. 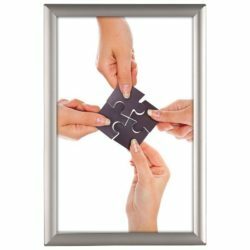 It is shipped unassembled in a flat solid pack to provide a lower transportation cost and comes with an easy-to-understand instruction sheet and fixing hardware making the assembly quick and easy. Just a simple effort and the work is done! 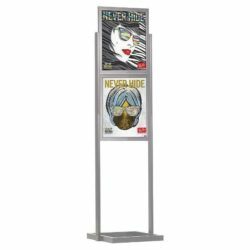 This poster display stand combines unique styling with stability and creates a smart-looking environment with its silver adonised finish. 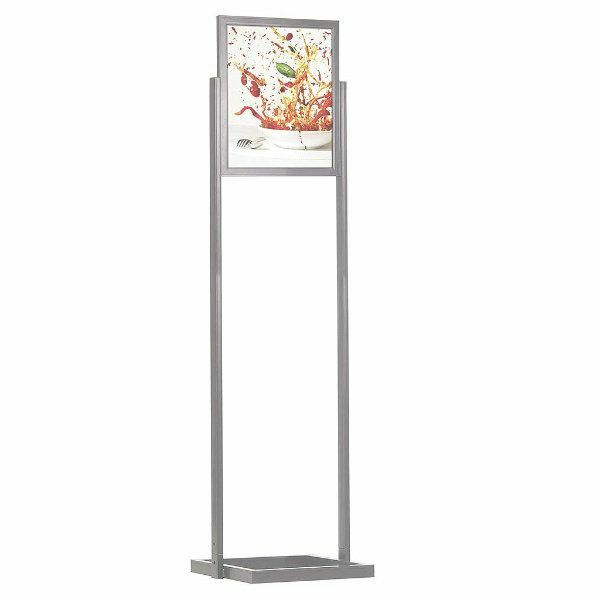 Where there is high foot traffic, this double-sided Eco InfoBoard offers versatility, affordability and portability and grab great attention of passers-by no matter what direction they come from. Add now this double-sided economic floor stand to your basket and build brand awareness to increase your sales dramatically. Great. No issue with purchase or receipt. I received exactly what I expected. Thank you.